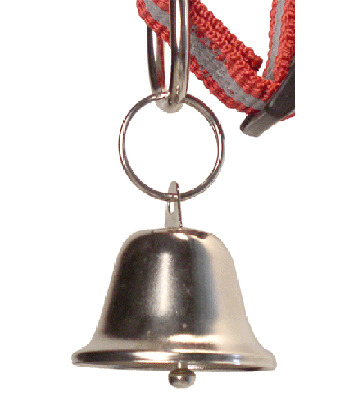 A lightweight bell that fits easily on a dog collar. Yet, loud enough to hear your dog range away at a safe distance. High and clear tone, similar to a school bell ... "Recess!"